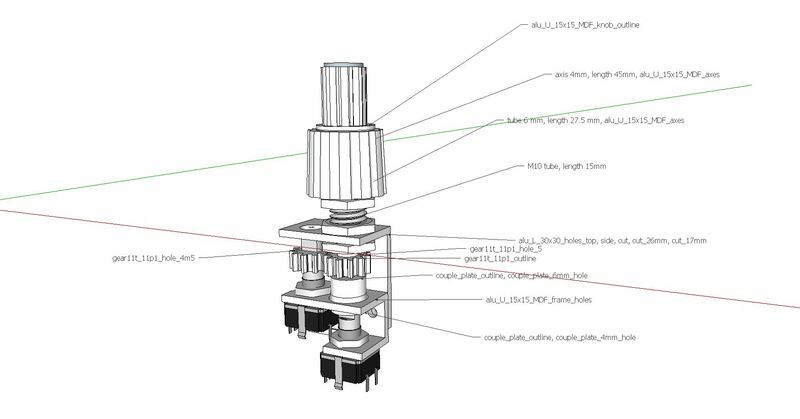 Below are the design files for the dual encoder switch parts for CNC routing or 3D printing. 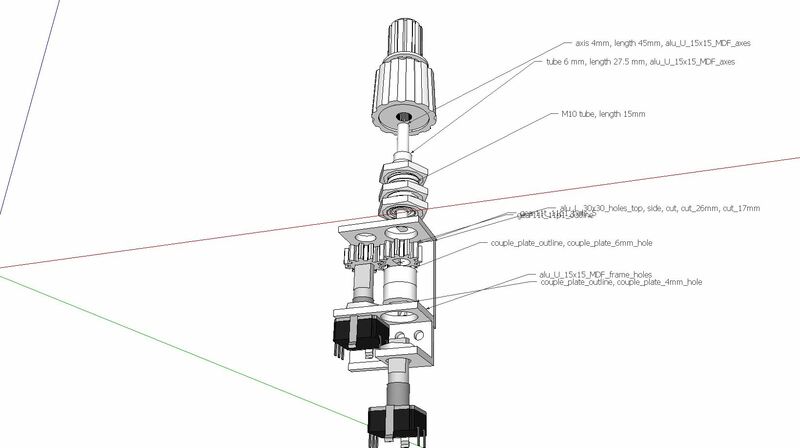 All Estlcam designs and G-code files have been derived from the above 3 designs. The picture of the Sketchup design below shows the various design files that are used. 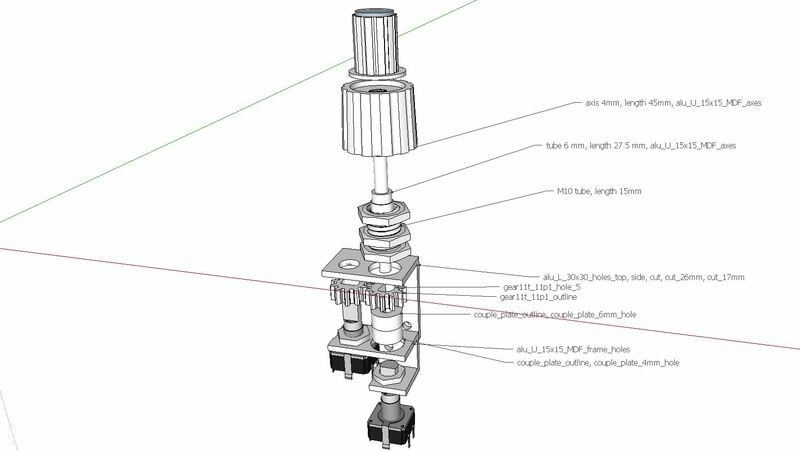 For better viewing of the internals you can download the Sketchup design and hide some of the parts to see the internals. On request a folder with Sketchup exported STL files for the two brackets, gears, axes and axes coupler. Hi Theo, I just printed the .stl files and they are good.Thanks for such a great work. Hi Henry, thanks for testing. Great to hear that they are good.